The last time quarterback Matt Hasselbeck was this hot, he was the unquestioned starter of the Seattle Seahawks way back in 2007. Then a spry 32-year-old, compared to 40 now, Hasselbeck guided the Seahawks to five straight victories and a 10-6 finish into the postseason before falling in the NFC Divisional Round. Standing as one of the NFL’s best stories of perseverance and work ethic, the Indianapolis Colts (6-5) back-up Hasselbeck now looks to equal the second-best run of his pro career under center against the Pittsburgh Steelers (6-5) on “Sunday Night Football” at Heinz Field. 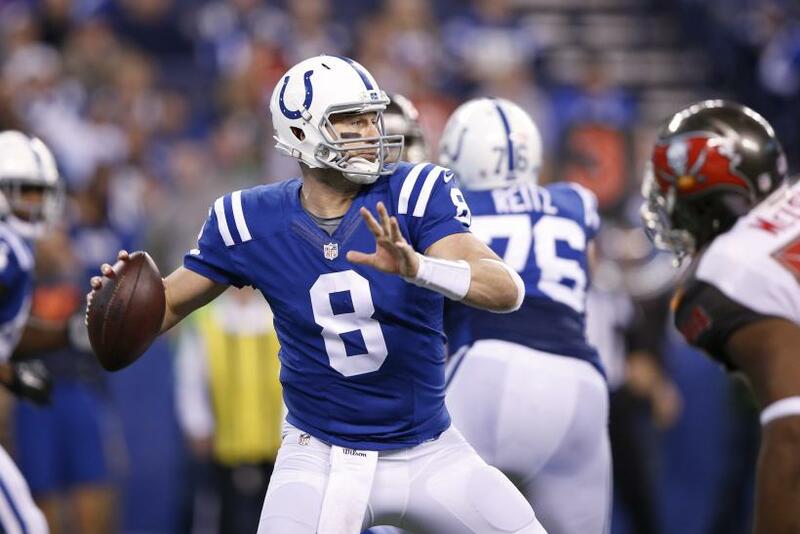 Granted, Hasselbeck hasn’t technically won four straight games as the Colts plug-in starter for the injured Andrew Luck, but he’s helped the team cling to first place in the crowded AFC South with critical victories over division rivals Jacksonville and Houston while completing 64.7 percent of his passed for 1,023 yards and seven touchdowns to only two interceptions. The former Pro Bowler has created a bit of a stir over whether or not head coach Chuck Pagano will turn back to Luck once he’s recovered from a scary lacerated kidney injury, even though Pagano firmly stated that Luck is the team’s starter for the future and beyond when healthy. That likely means Hasselbeck’s career-best streak off 11 straight wins as a starter from 2005 is intact. In particular, Hasselbeck's ball security has helped the Colts' defense tremendously. In his four starts, Indianapolis has allowed 16.5 points. It's a sharp improvement compared to their season average of 23.6 points, with Luck tossing 12 interceptions over seven starts. Indianapolis sits three games back of the Cincinnati Bengals and Denver Broncos for the No. 2 and No. 3 AFC playoff seeds, a seemingly insurmountable lead this late in the season. A win over Pittsburgh would boost the Colts' 4-3 AFC record, which serves as a tiebreaker if they falter in the division and have to battle AFC wild-card contenders. But Hasselbeck will stare down Pittsburgh’s Ben Roethlisberger, who has a 3-1 record against him, including a Super Bowl victory back in 2005. And the Steelers are also in need of in-conference wins, sitting one game back of a wild-card slot with a 4-3 record against AFC foes and three back of Cincinnati for the AFC North lead. Pittsburgh is dealing with Roethlisberger’s third injury scare of the season, sustained in its 39-30 loss to Seattle in Week 12. Roethlisberger pulled himself from the game with an injury that was later ruled a concussion. A controversy ensued about how and when the Steelers informed their star passer about the injury. Nevertheless, Roethlisberger was cleared to practice on Wednesday and he remains on track to start against the Colts. And unlike Hasselbeck, Roethlisberger has a steady, solid running game backing him up. After Le'Veon Bell went down with a season-ending knee injury on Nov. 1, Steelers offensive coordinator Todd Haley has relied on veteran running back DeAngelo Williams for the bulk of the carries. He’s averaging 4.9 yards per carry and generated 563 yards on the season. Against the Oakland Raiders on No. 8, Williams rushed for 170 yards and two touchdowns on 27 carries, but has been relatively quiet in two subsequent games. The Colts haven’t benefited from nearly enough production from veteran Frank Gore, who’s rushed for 657 total yards but has averaged just 2.5 yards per carry in the past four games. Indianapolis has slipped to No. 26 rushing, and may need better time of possession to hold off the Steelers' offense.